If you know someone who is anti-Valentine’s Day, you’ve probably heard the phrases, “It’s just another day,” or, “It’s a Hallmark holiday and not a real one,” or some variation. I have never been one of those people. I have always loved Valentine’s Day, even though I never had a Valentine until last year. I love love, red, pink, and chocolate. This year, I was (for the first time in my life), one of those people saying that it was just another day. But it had nothing to do with a negative relationship with love or couples. I didn’t go through a bad breakup (or any breakup) right before Valentine’s Day, and I didn’t/don’t think that it’s just a holiday made up by greeting card companies. 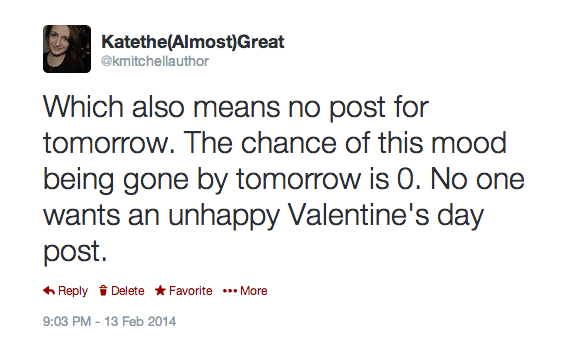 I made the choice to postpone Valentine’s Day this year. It has nothing to do with my relationship. It has nothing to do with personal opinions about the holiday. It was my idea. I have been very, very busy and stressed out recently. We are in crunch time for the end-of-the-year test that my students will take at the very beginning of May, and I’m trying to do as much as possible to prepare them for that. This means a lot of tutoring work during my planning periods and many days where I’m working nonstop from 6:15 to 4. My stress levels are extremely high, and I’m exhausted physically and mentally. It all came to a head Thursday night. I was so overwhelmed, stressed, and exhausted that I lost it. 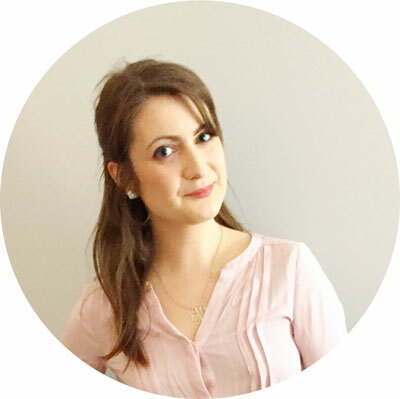 Because I was so upset – and I couldn’t calm down – that I decided that I wasn’t going to write a post for Friday. 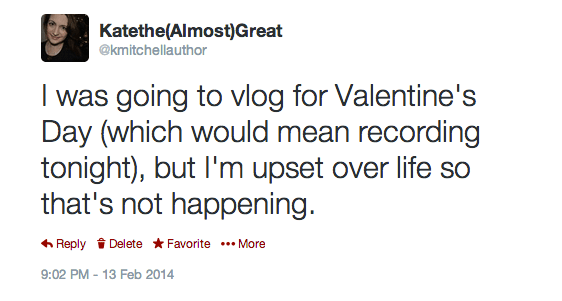 And then, when it wasn’t getting better, I realized that I wasn’t going to be able to do Valentine’s Day. But it’s not a big deal. I still saw my boyfriend on Valentine’s Day, but we’re just going to celebrate the holiday at another time. We don’t need to celebrate on February 14th, and I knew that I needed just a low-key night. I had him and House of Cards (how about season 2?? ), which was really all I needed. I’m starting to feel better, thank goodness. The biggest thing is managing stress, and sometimes that means postponing plans. I would rather postpone than lose my sanity all together. Sometimes you need to make choices that are better for you long term, and sometimes that includes taking a timeout from life. And that’s okay.